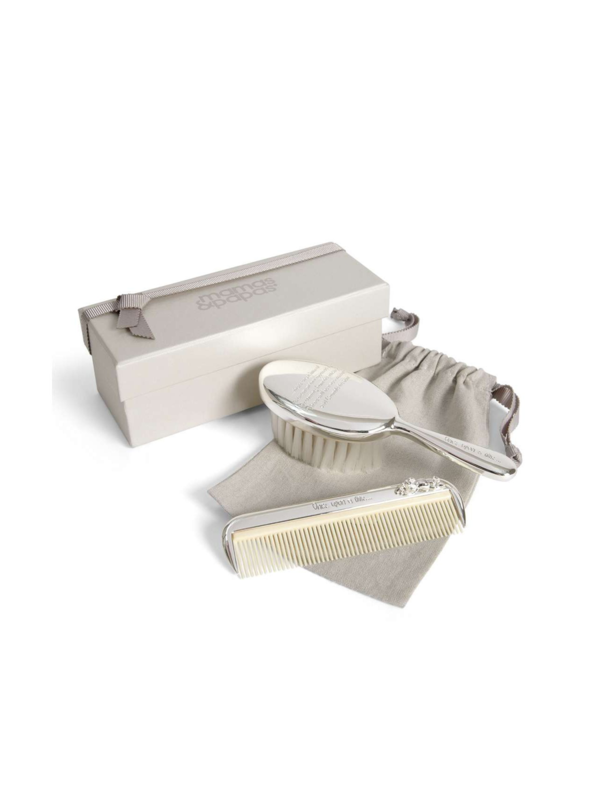 Mamas & Papas silvered brush and comb for baby - perfect for your baby or christening gift. 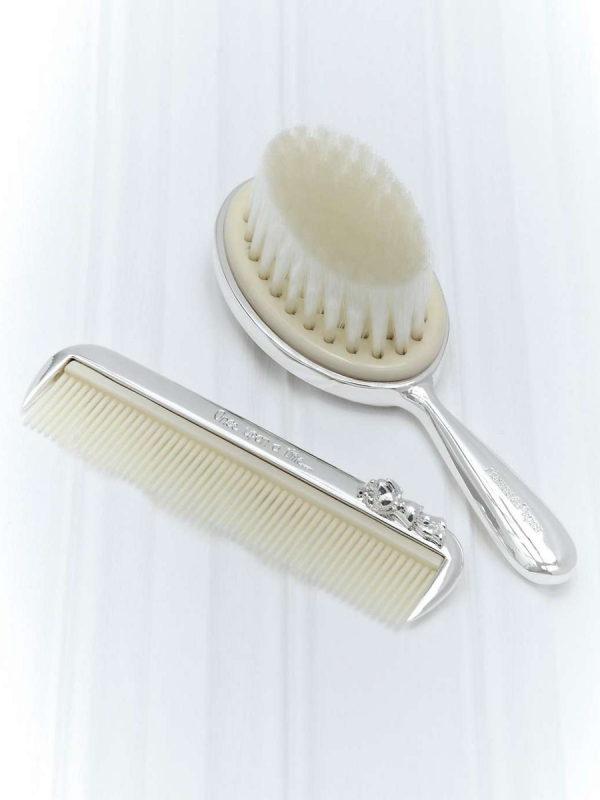 A luxury brush set for your baby. A wonderful set will certainly be a commemoration and will eventually be passed on to the next followers - a beautiful and wonderful set! 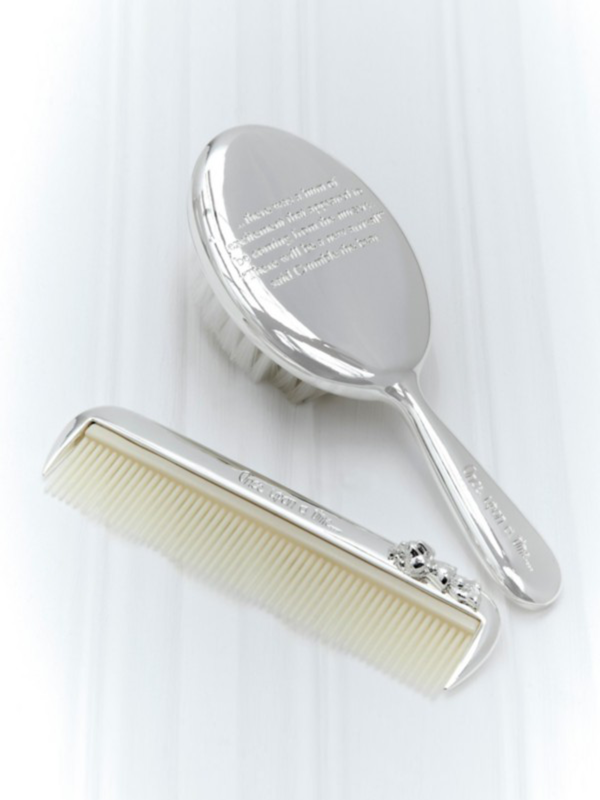 The brush has texts: "Once upon a time ..." and "... there was a hum of excitement that seemed to be coming from the nursery." There will be a new arrival! "Said Crumble the bear.